My boys are getting older... and a little "mature" for the types crafts we did together when they were little. So, this year, I wanted to make a craft with my boys that was great for older kids. I've seen a bunch of versions of these yarn hats on Pinterest, and I have been wanting to make them for many years. 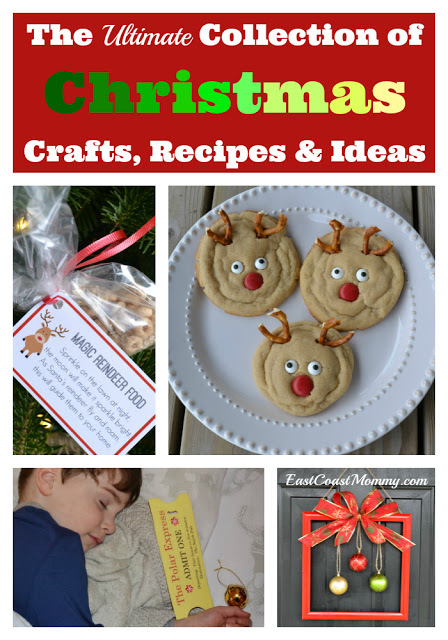 They are the perfect Christmas craft for tweens and teens... and adults will love making them too. 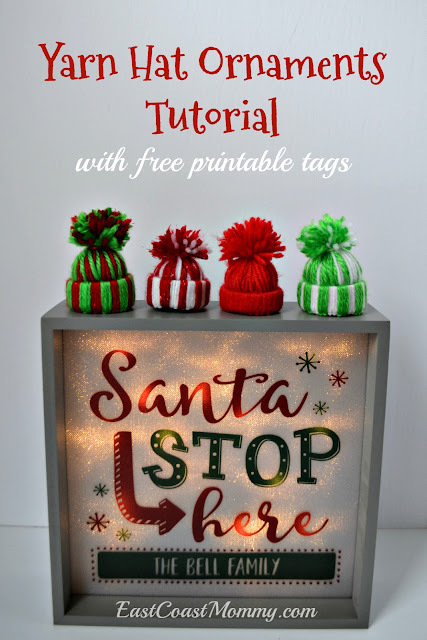 Today, I am sharing the step-by-step instructions for yarn hat ornaments, and some FREE printable gift tags that make them the perfect DIY gift for holiday giving. 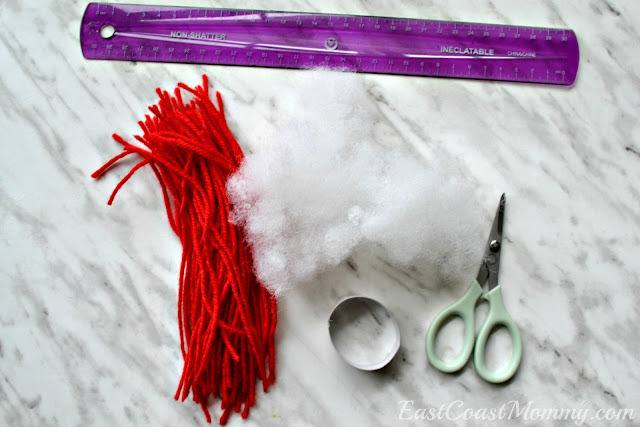 To make these adorable yarn hat ornaments, you'll need: a ruler, yarn in your desired hat color, stuffing or cotton balls, old paper towel rolls and scissors. 1) Cut a paper towel roll into 1/2" strips. 2) Cut 10" strips of yarn... about 40-50... depending on the weight of the yarn. 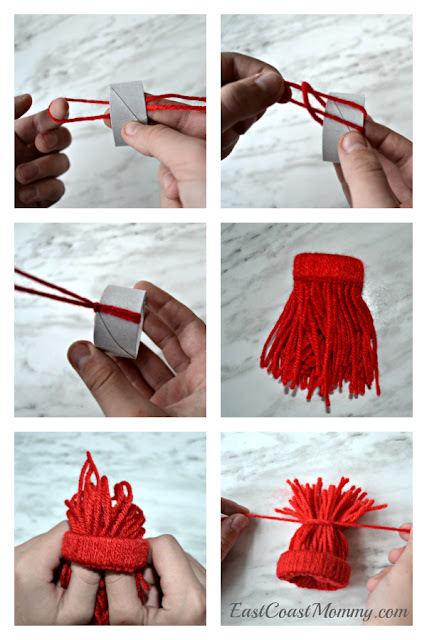 3) Fold yarn in half, make a loop and insert it into the strip of cardboard tube. 4) Take the two ends of the yarn, and pull them through the loop. Pull tight. 5) Continue this process until the entire cardboard ring is covered. 6) Push the yarn through the ring to create a "hat brim". 7) Use a long piece of yarn (approx. 12") to tie the top of the hat. 8) Stuff some filling or cotton balls into the hat. 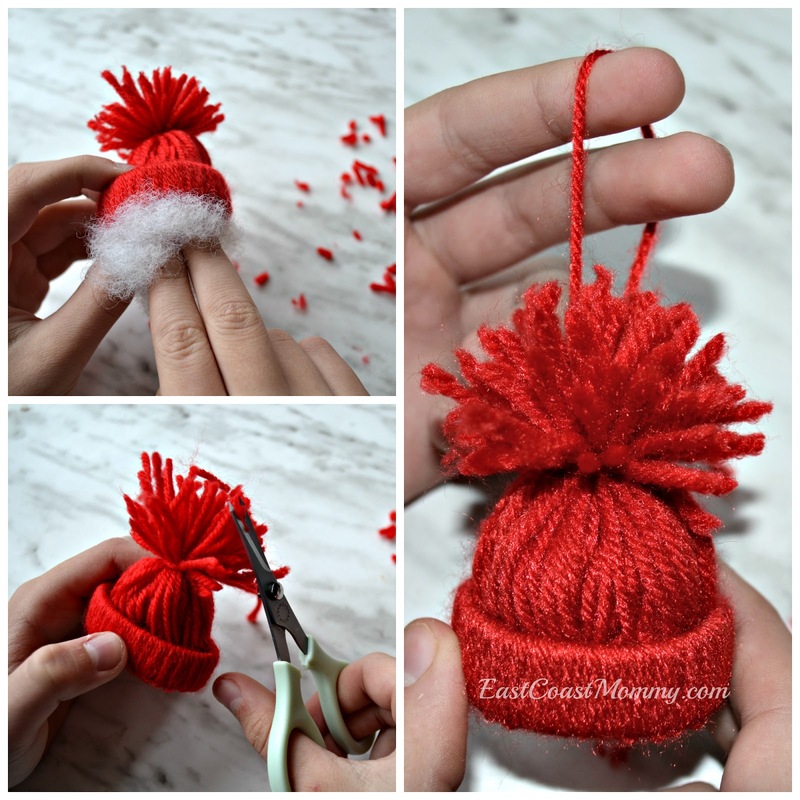 9) Trim the pom pom on the top of the hat. 10) Use the string you used to tie the top of the hat to create an "ornament hanger". You can use one colour of yarn, or you can alternate colours. I love doing two pieces of one colour and then two pieces of another colour. You can also play with the width of the piece of paper towel roll, the weight of the yarn and the lengths of the pieces of yarn. 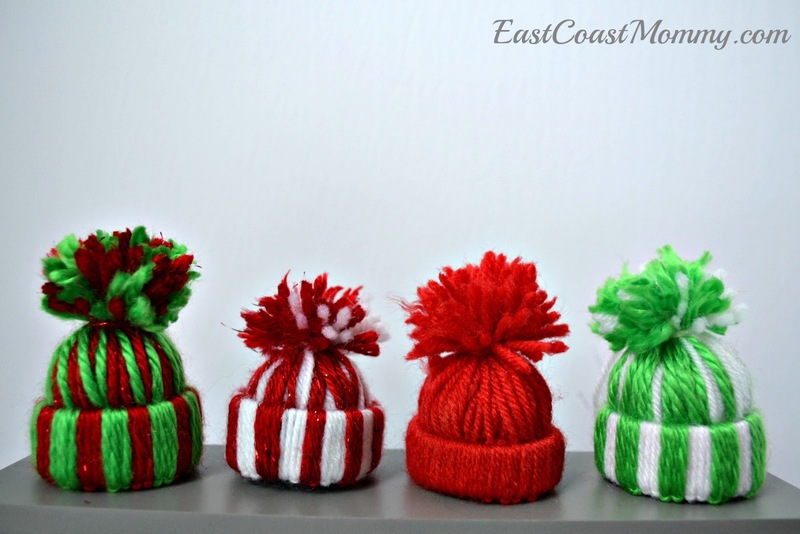 Aren't these yarn hat ornaments totally adorable? I can't wait to hang them on my tree. 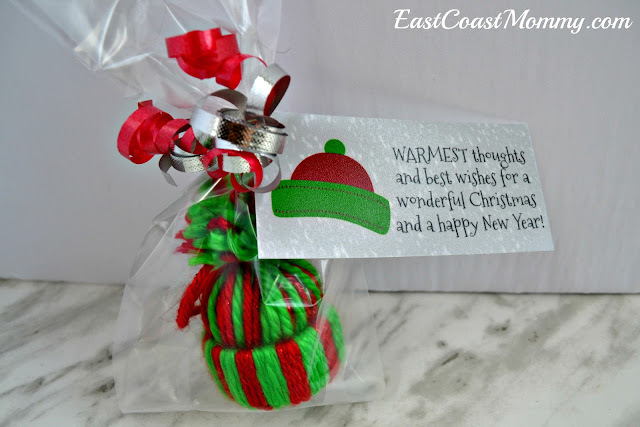 And... these yarn hat ornaments make fun DIY Christmas gifts. 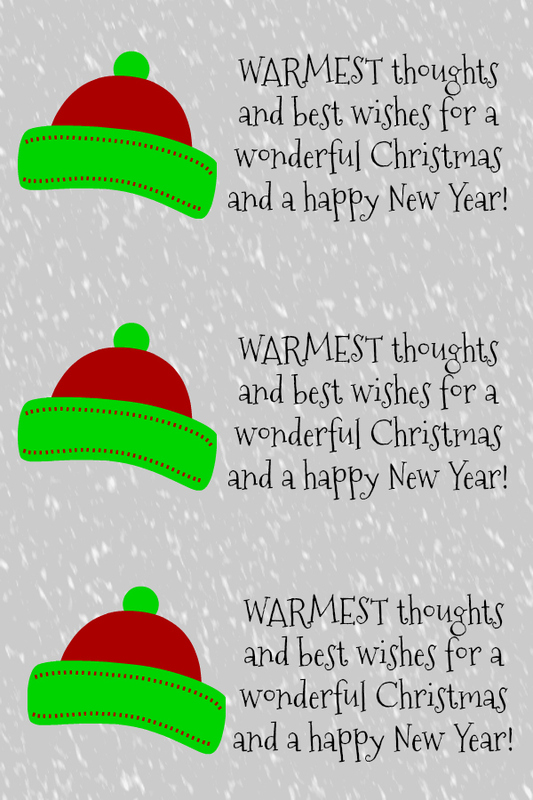 Just add these adorable "warm wishes" tags. 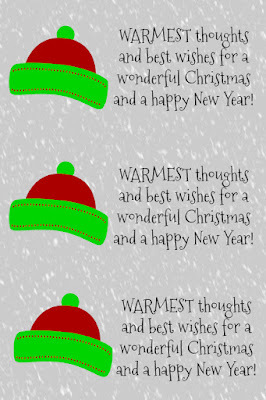 Click on the photo below, right-click, save it to your computer and print it like a regular 4x6 photo. 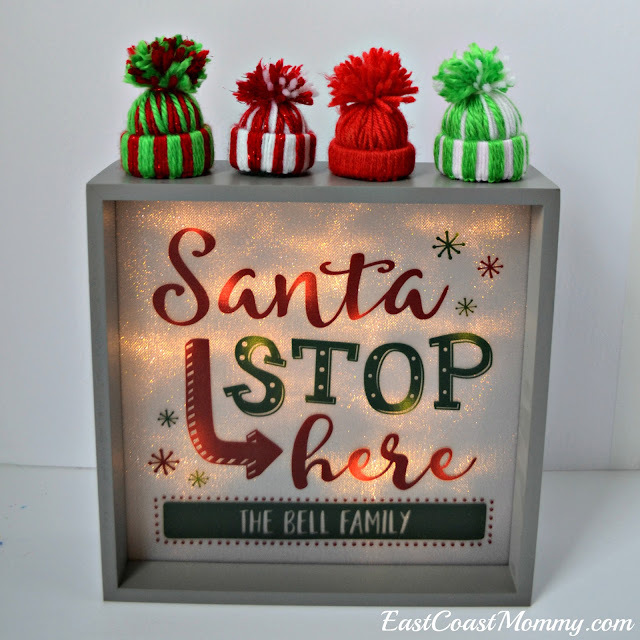 Isn't this a sweet little homemade holiday gift? Oh my goodness, I absolutely love these! Thanks, Jenna. 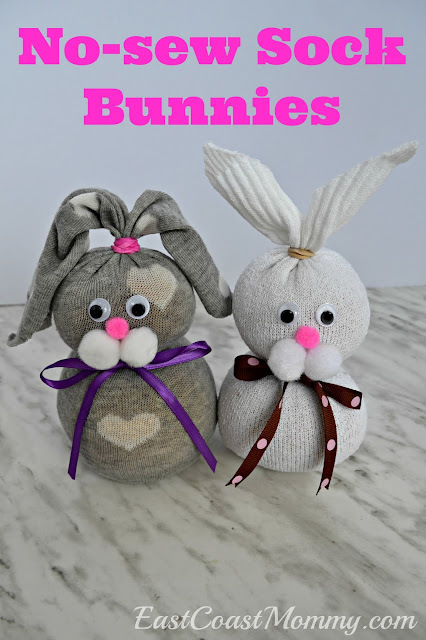 I am going to make them with my son's class next week, and I think they are going to love them. So very cute!! Thanks for sharing.